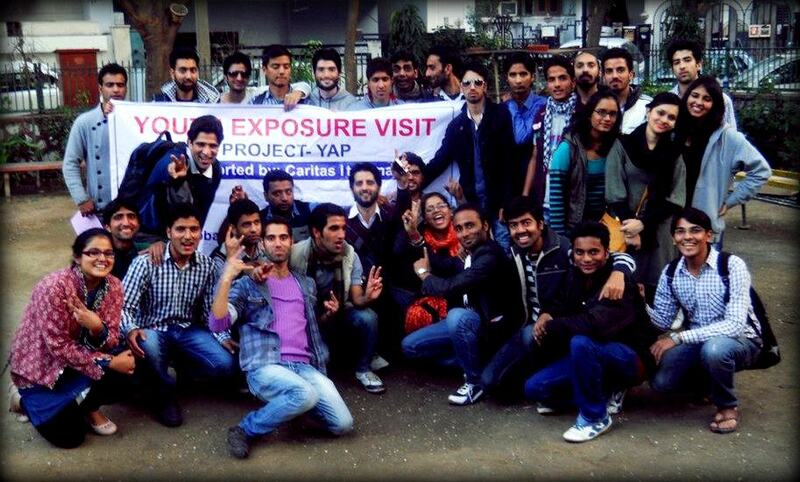 In December, Pravah had the pleasure of hosting a group of 20 Kashmiri male youth who came to Delhi for an exposure visit through IGSSS-Kashmir. Together with them, as part of the Youth Intervention team I explored the city; dissected stereotypes held of Kashmir and Delhi and addressed the tough questions on understanding ourselves and the issue of Kashmir’s status in India. Coming from a Peace & Conflict Studies background, I’ve read my fair share of the ongoing conflict that plagues “paradise on earth“, as Kashmir is so often referred to. Kashmir is a classic case study used in these courses because there are so many layers to the conflict and it has already journeyed through many stages of intensity. However, even after reading different books and articles, I realized, I had never heard from a Kashmiri what he or she thought about the conflict affecting their home. It has been easy to think I know something because I read a post on the internet or attended a conference where an expert panelist briefs the audience on a given issue. However, through this exposure visit I realized that personal accounts shared in a safe space are priceless when attempting to grasp a multi-faceted issue. Nothing can replace someone sharing their story with you, being real and opening up their reality. This takes a lot of trust, for which I am very thankful we were able to build so quickly during the exposure visit. Due to this sharing, my understanding of the conflict in Kashmir, especially the sentiment of the youth and what they want for Kashmir, was deeply enriched. And the incredible part was that I was not alone. Pravah invited some of our Delhi youth volunteers to be part of this exposure experience, so there could be active dialogue from both sides. Similar feelings were expressed by our Delhi volunteers that their understanding of this difficult issue was also strengthened by the exposure visit from IGSSS-K. It was so heartwarming to be a part of such an impactful week where all sides shared and learned from one another. In fact, there were so many eye-opening moments that took place, but one stands out the most. 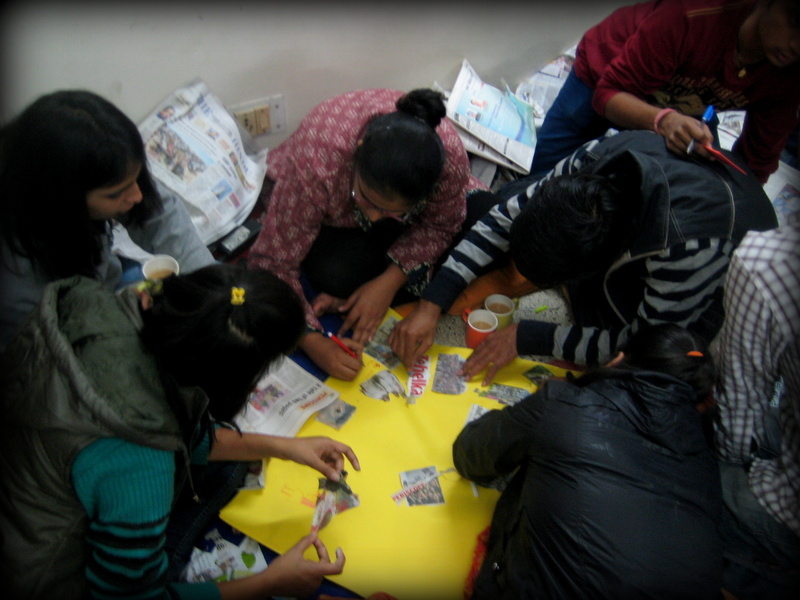 One day we took everyone on a community visit to Hope Projectin Nizamuddin Basti. As we navigated the twists and turns of the narrow passages through the crowded neighborhood, the wide eyes of wonder belonged to both the Kashmiri AND the Delhi youth. Being the only non-Indian in the group, it was a great experience to see everyone processing new environments (especially Delhiites who were experiencing a bit of culture shock in their own city!). It is in moments like these, when we create 5th space outside of our comfort zones that we can discover deeper depths of truth of ourselves and our society. It was so refreshing to close the books, get out of the classroom and experience a Peace & Conflict class like no other through the IGSSS-K exposure trip. A positive step to unite the society, to have a society full of joy, peace n progress in the world. It simply means that each culture affects the other. Each culture adopts at least some of the practices, beliefs, and ideals of the other culture.